A lot of people are becoming more aware of what goes into their bodies including myself and I think it's such a good step to a healthy life. I don't eat clean every time but I try my best to do so for the most part. I cook majority of my meals because I have better control of what goes in my pot and plate. The main aim is to be healthy not to necessarily lose weight but if that happens, why not? I have always loved the idea of juices and juicing and I am considering investing in a good juicer. 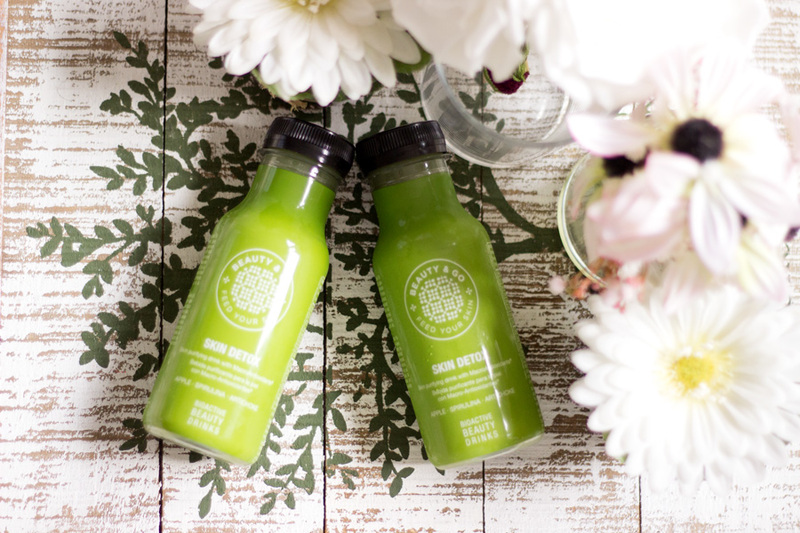 Juices are great for breakfast for me because they give me the energy I need to start my day and I tend to eat healthy through the day. 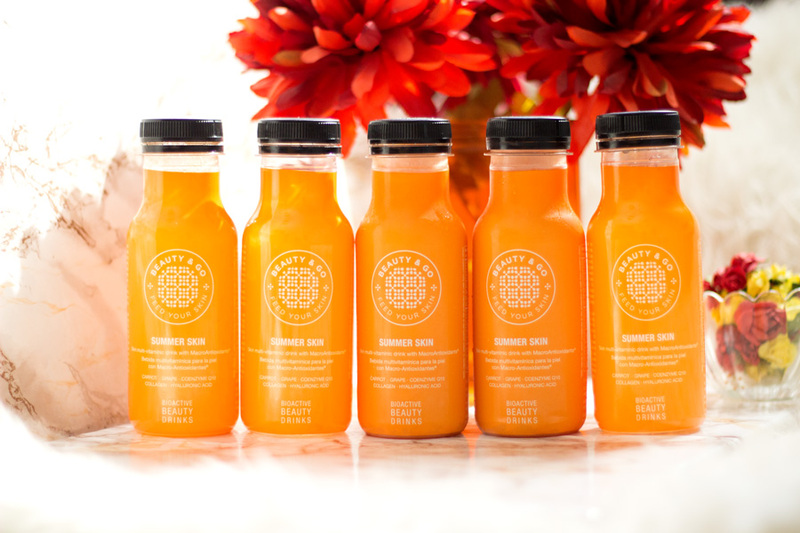 I have tried quite a few juices including home made ones and I love them all. When I mean juice, I am referring to healthy juices and not the usual ones sold in stores. 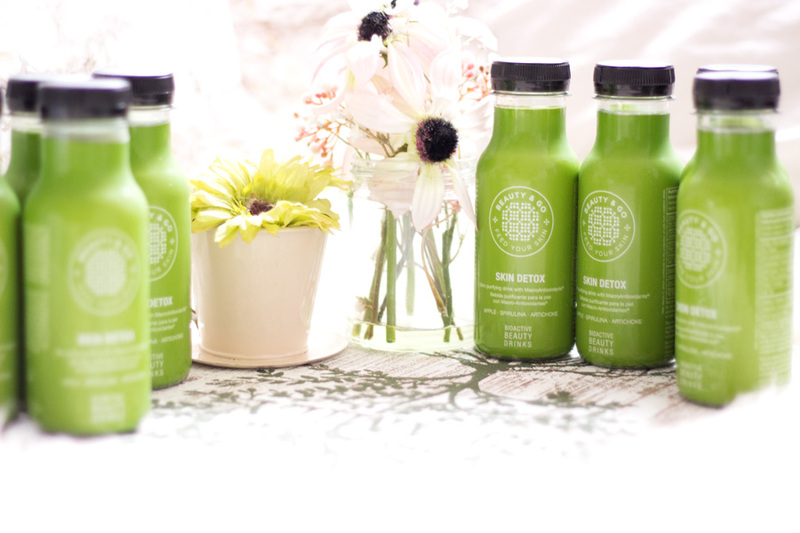 I love cold pressed juices, whole fruit juices and freshly made juices. I also love smoothies because they are perfect for summer and they tend to make me feel fuller for longer. 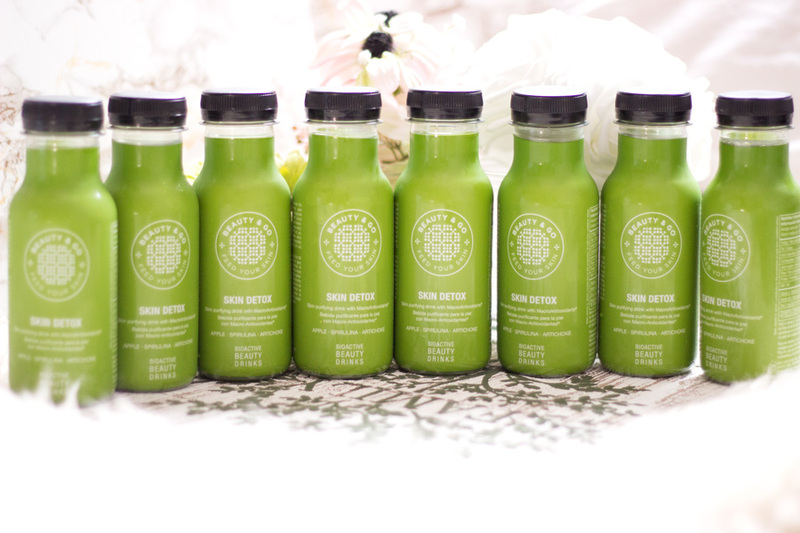 Back in April when I was just trying to give my health and body a nice kick start, I was contacted by Beauty & Go to see if I wanted to try their juices. I was delighted because I had already seen them on Instagram and Facebook. I checked out the website, liked what I saw and agreed to give them a try. 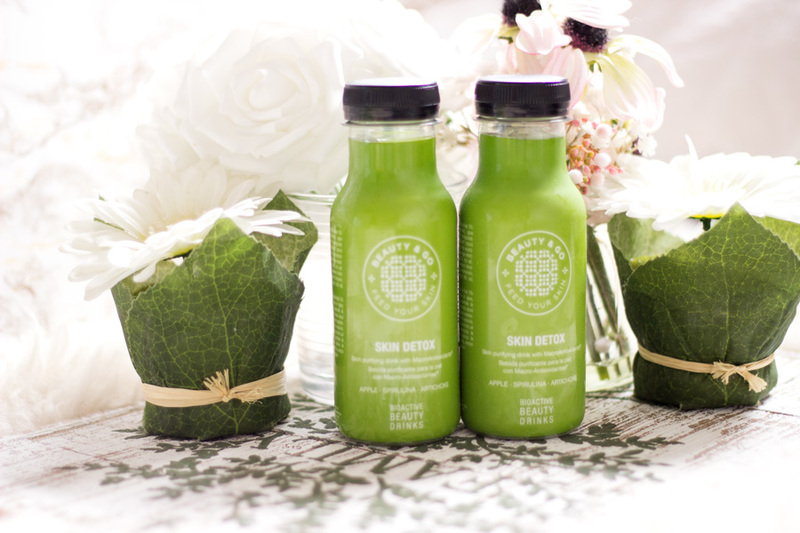 I was very kindly sent the Skin Detox Juices to try out for the week. Back in June, they also sent me the Summer Skin range so I will be talking about both ranges today. 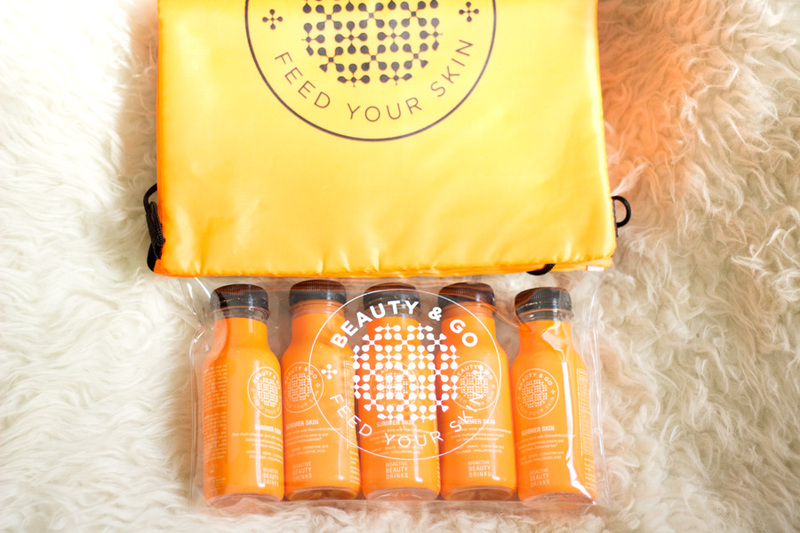 Beauty & Go are a passionate beauty company with an expertise in nutrition and taste. The company is a scientific collaboration between two renowned Spanish companies who are passionate about research, innovation and new technology. 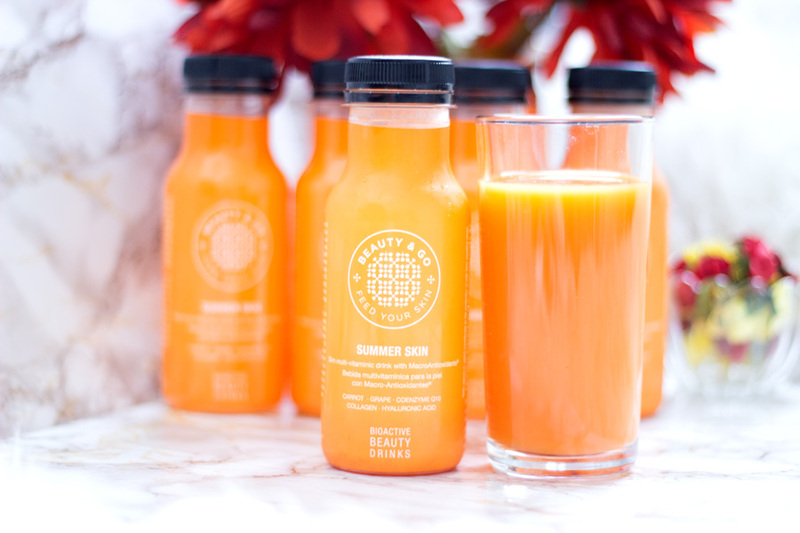 Their aim is to develop these nutritional drinks that feed and nourish the skin from inside out rather than just on the surface. In order to achieve that they have incorporated macro oxidants into these drinks to make them stand out among other beauty drinks. You can read more about the brand here. 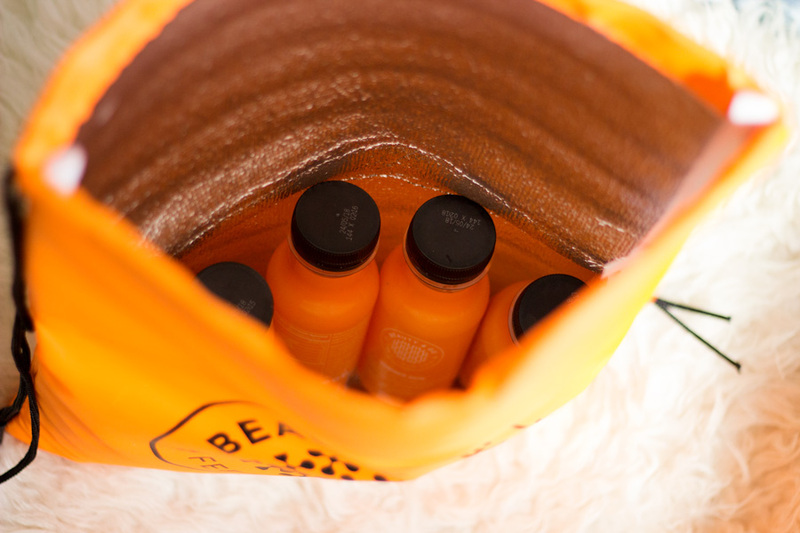 They have quite a good collection of drinks to choose from depending on what skin benefits you are after. They have the following ranges on their website: Skin Revive, Skin Detox, Skin Brilliance, Skin Vitality and the limited edition Summer Skin. They have 7-day packs, 30-day packs and 60-day packs. You can also mix and match each range for the 30 and 60 day packs which I think is such a great idea. 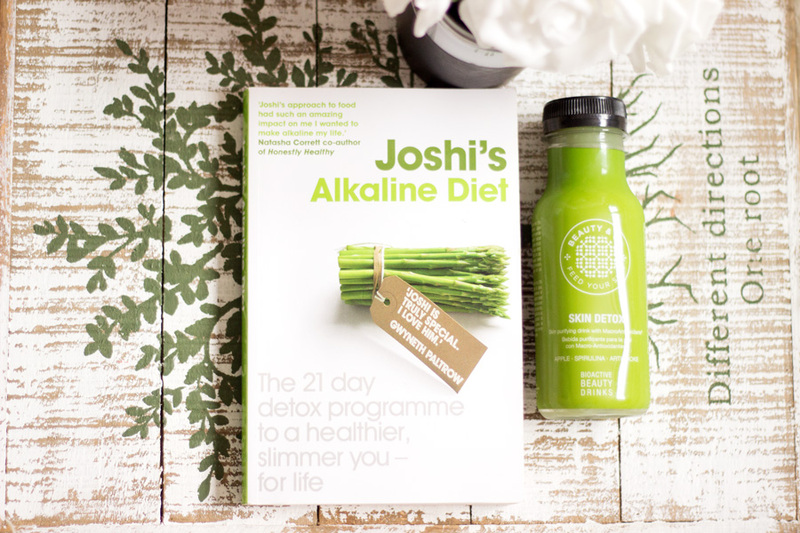 The 7-day pack is £28 and I think that's fairly reasonable and a good way for people to try out these drinks to see if they work for them or not. I was very kindly sent the Skin Detox range (7-Day pack)* and the limited edition Summer Skin (5-Day pack)*. 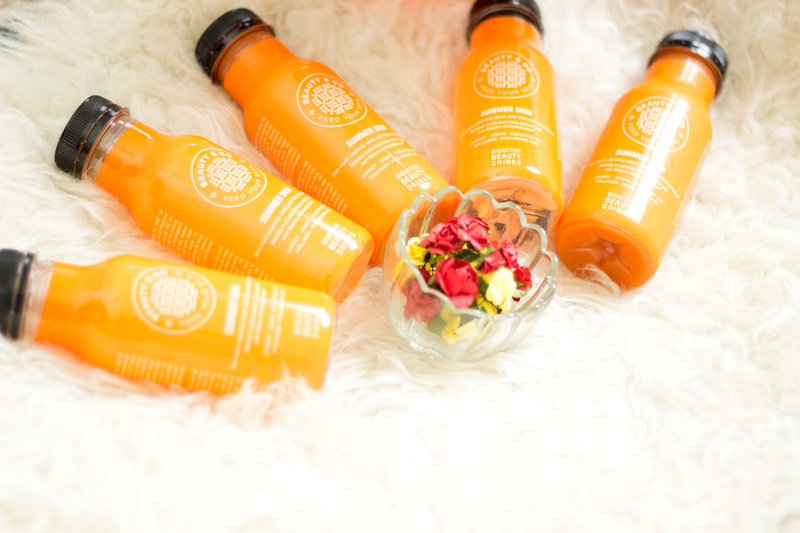 Each bottle contains 250ml of juice which I think is a good amount for a beauty drink. 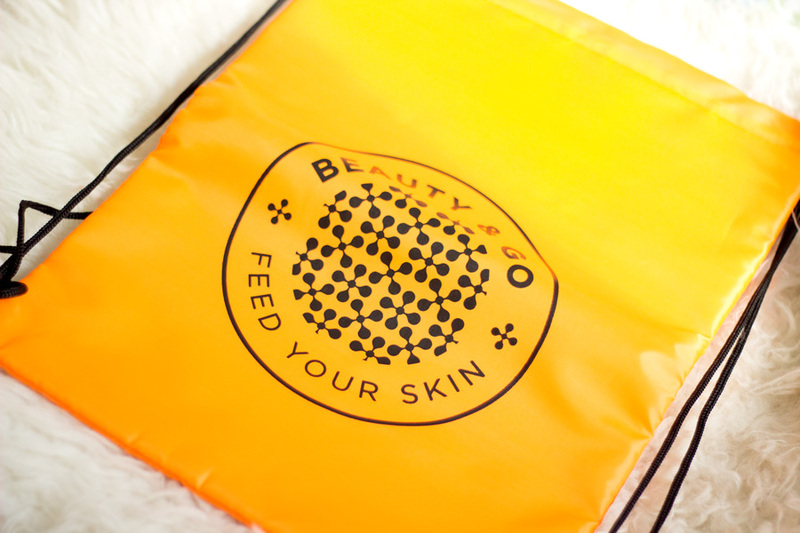 More importantly, the size makes it very easy to pop into your handbag on the go. 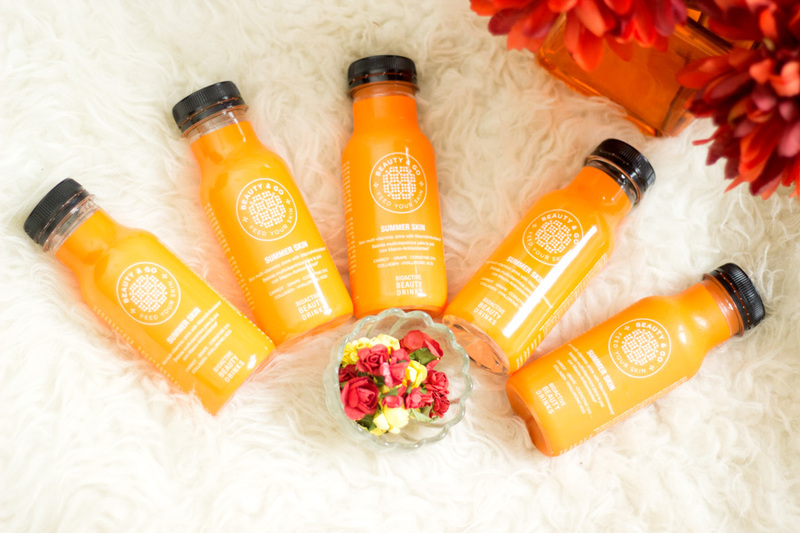 These drinks do not contain any added sugars, artificial colours or preservatives. They are naturally sweetened with Stevia Leaf and they contain almost 50% of our daily Vitamins and Minerals daily allowance. What is a Macro Oxidant? They are simply powerful antioxidants which have amazing skin benefits quite different to other antioxidants. They are usually found on the skin of many fruits and I know sometimes people don't eat the skin of fruits or they just get rid of them. I totally get why people don't eat the skin of fruits and this is mainly due to the chemicals used on the skin (except you buy organic or you grow them yourself). As these macro antioxidants are found on the skin of fruits, they act as protective barriers to the fruits and it is believed that they also provide the same benefits to the skin when they are consumed. Some of the skin benefits include preventing premature ageing, protection against free radicals, firmness and improving the skin's elasticity. They also last longer in the body compared to regular antioxidants and this means their skin benefits also last longer. 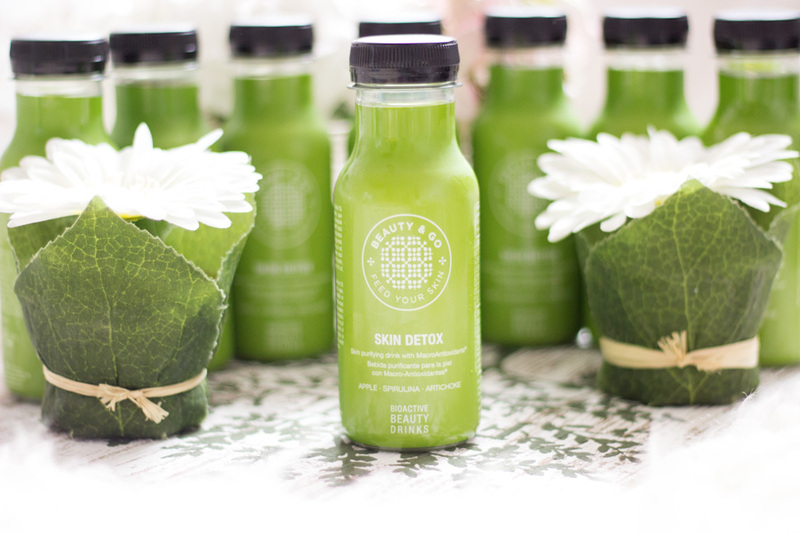 The Skin Detox Range is targeted at promoting clearer skin and improving the skin's moisture levels. As the name suggests, it is designed to purify the skin, stimulate digestion and eliminate toxins which sounds like what I totally need right now. It definitely was what I needed when they arrived and I absolutely enjoyed these drinks. I was really curious to see the ingredient list to see what each drink contained and I am glad they were easy to find both on the bottle and on the website. For starters, it contains less than 80 calories so there's not a lot to worry about and you can sip it at one go or through the day (which is what I prefer doing). 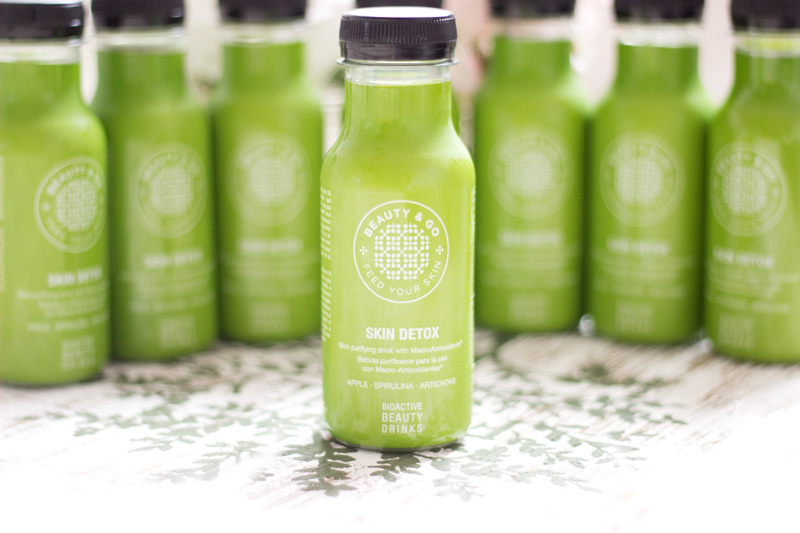 The ingredients in the Skin Detox range include: Vitamin C, Vitamin B6, Manganese, Zinc, Fibre, Protein. 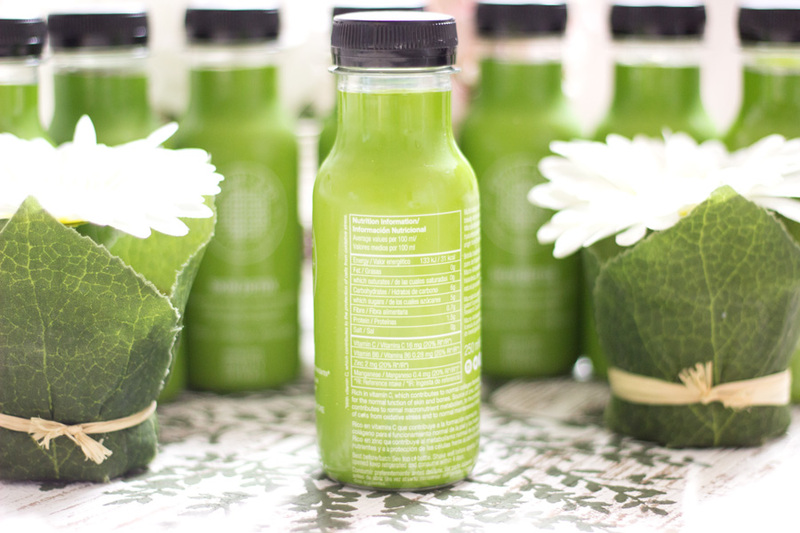 The macro ingredients contains Hyaluronic Acid, Spirulina Algae, Dandelion, Artichoke, Orange Fibre, etc. I though it will be a rich green colour but it is almost like a pale green colour and I instantly thought I won't like the taste. On the contrary, it was actually quite delicious and I drank it everyday either as breakfast (on days when I was running late) or alongside other breakfast. items. The first thing I noticed was the slight after taste which may be due to the Stevia Leaf. It is not my favourite sweetener but it is definitely better than sugar so I was not to fussed about that. I found that by the 3rd or 4th day, I had gotten used to the taste. In terms of benefits, the first thing I noticed was feeling very energised. 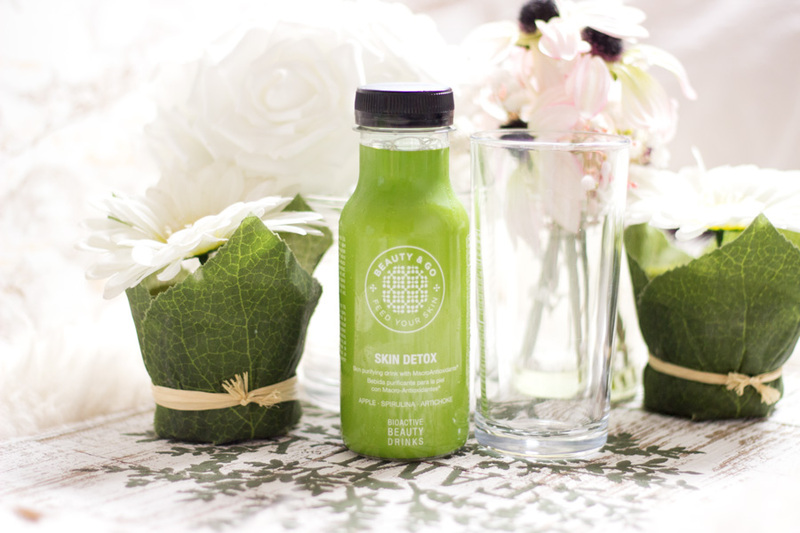 Now, I don't know if it is the placebo effect that comes with knowing you are drinking something healthy and green. 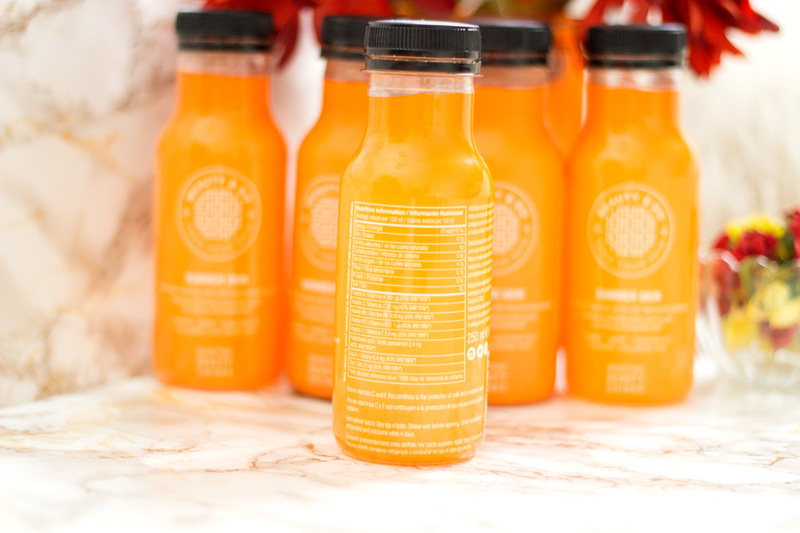 Still, I definitely noticed how energised I was especially on days when I skipped breakfast and only had this juice. I honestly did not think I will notice any changes to my skin but I was surprised that I did. My skin definitely felt fresh and glowing. It made me want to go back to eating completely healthy and plans are underway to keep this up. 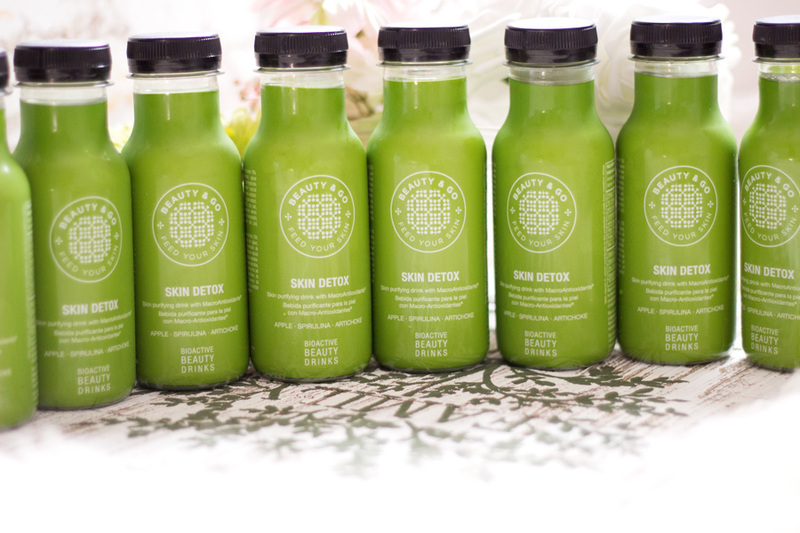 I will definitely recommend giving the detox range a try especially if you are planning to embark on a healthy journey. Even if you are not planning to do so, you will be getting some nutrients into the body which will help kickstart the entire process. For the skin benefits and overall health benefits, I think it is worth a try. I was so surprised when this package arrived on my door step back in June because I did not expect it at all. I unboxed it on my Insta Story (shameless plug alert- please follow me on Instagram as Fashstyleliv). It came in such a lovely box complete with a transparent bag and a matching fridge bag for summer picnics. I thought it was such thoughtful gift and the orange colour theme made me so happy. The Summer Skin range is limited edition so I am guessing it is only around this Summer so if you want to try it out, this is a good time. I love the packaging it came in because it is handy for a picnic. 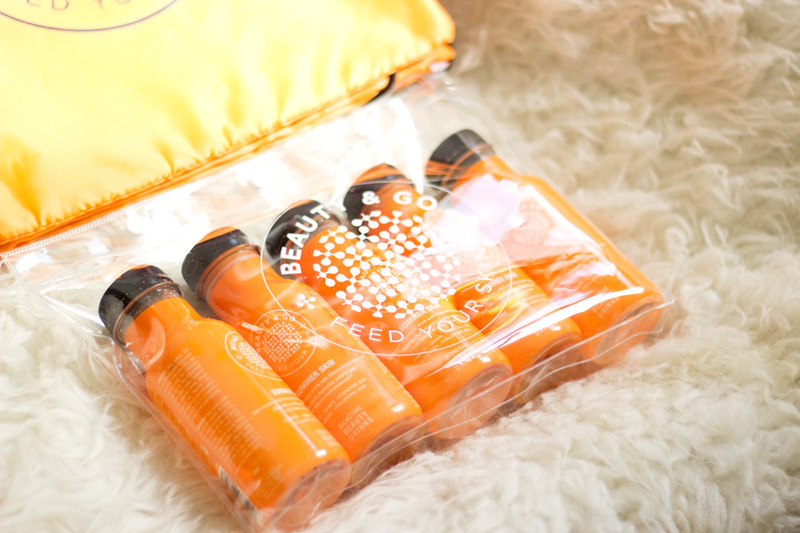 The clear bag the drinks came in now serves as my travel makeup bag; perfect for airlines. The Summer Skin range is designed to help the skin handle the sun's exposure and reduce the sun's damaging effect. Of course, it does not replace the use of sunscreen and other ways of protecting the skin from the sun but it provides extra protection from the inside out. It contains some amazing skin loving ingredients including their V5 Multivitamin Complex (Vitamins A, C, E, B6 and B12), Beta-Carotene, Co-Enzyme Q10, Green Tea, Aloe Vera, Collagen, Hyaluronic Acid to mention a few. If you are wondering about the colour, I am sure you may already guess that it contains carrot (carrot puree) as well as orange peel/fibre. 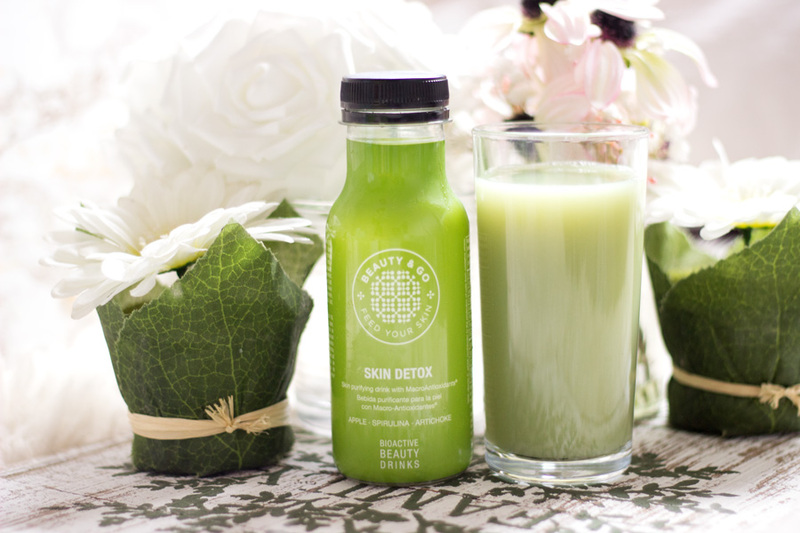 It tasted quite different to the Skin Detox and seemed slightly thicker in texture. I noticed a slight sharp taste to which may be down to the citrus content but it was not bad. I can't say I particularly noticed any difference in terms of my skin's reaction to sun exposure because I always use my sunscreen. However, I did notice my complexion seemed more radiant. 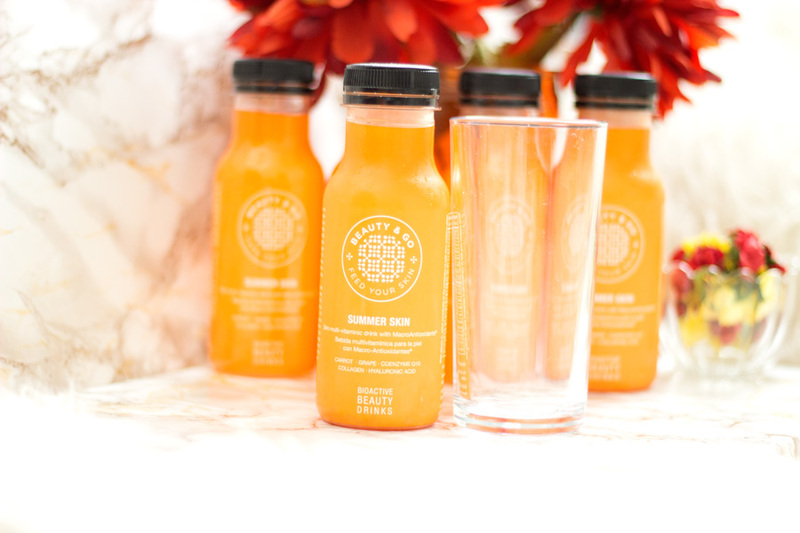 This time around I was not particularly eating healthy so I think this drink definitely helped in my skin's radiance (and maybe the summer sun). 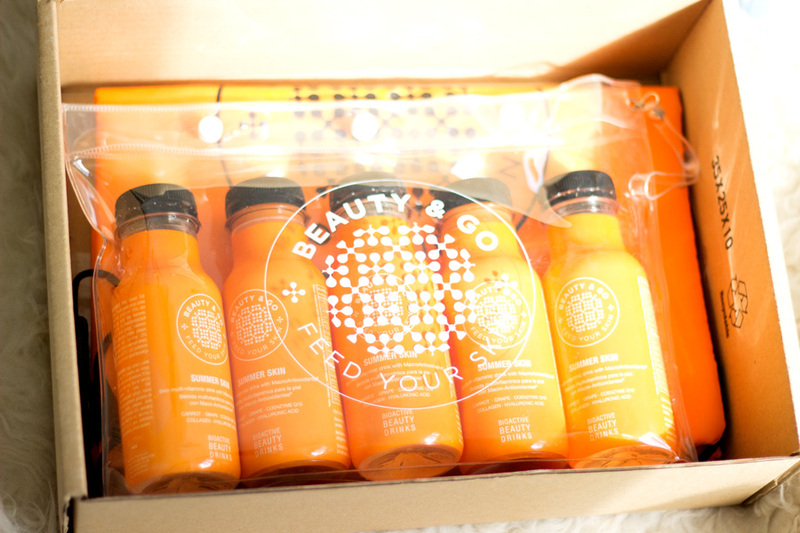 I really enjoyed trying out these drinks from Beauty & Go and they definitely gave me something nice to look forward to in the morning. 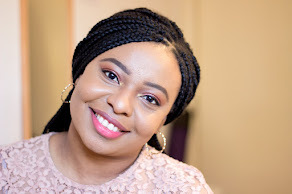 I would say I definitely preferred the Skin Detox range because I saw more immediate benefits with it. 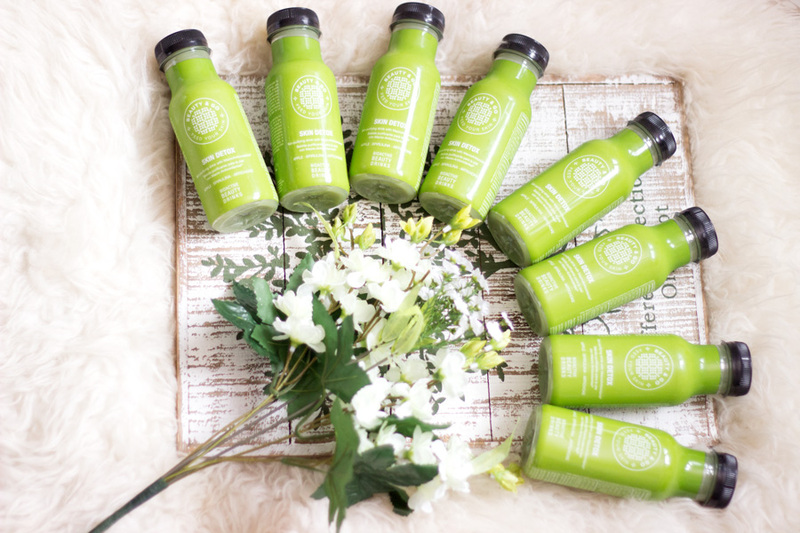 I think the colour green makes you feel like you are having something healthy and wholesome and puts you in a nice healthy mood. Who knows? 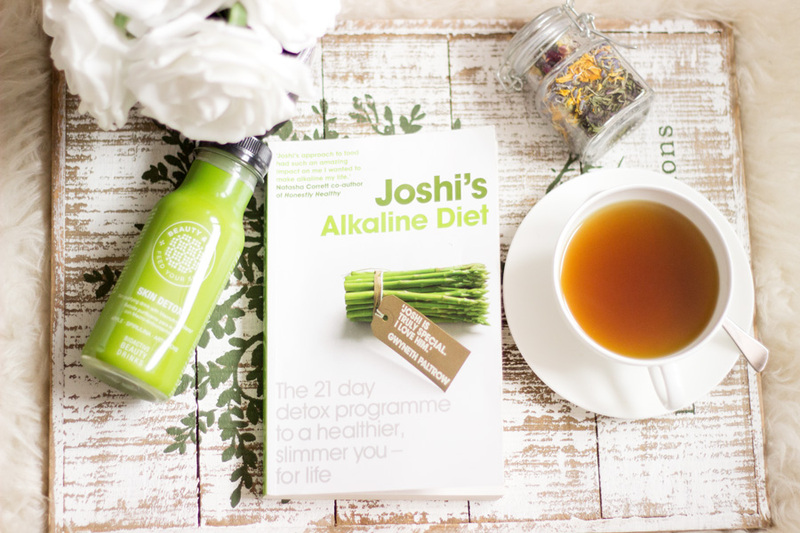 The Skin Detox range helped me stick better to a healthier diet because it was a staple part of my breakfast at least for a week. 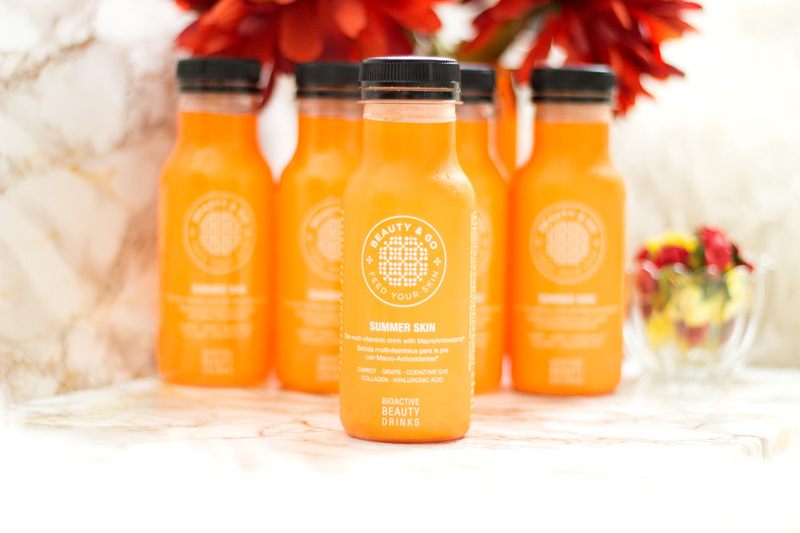 I enjoyed the Summer Skin range more like a nice summer drink for when I wanted to chill and more of a treat. I feel if you tan easily or have a tan, this may help with the skin's reaction to sun exposure based on the skin loving ingredients the range contains. I hope you enjoyed this post. 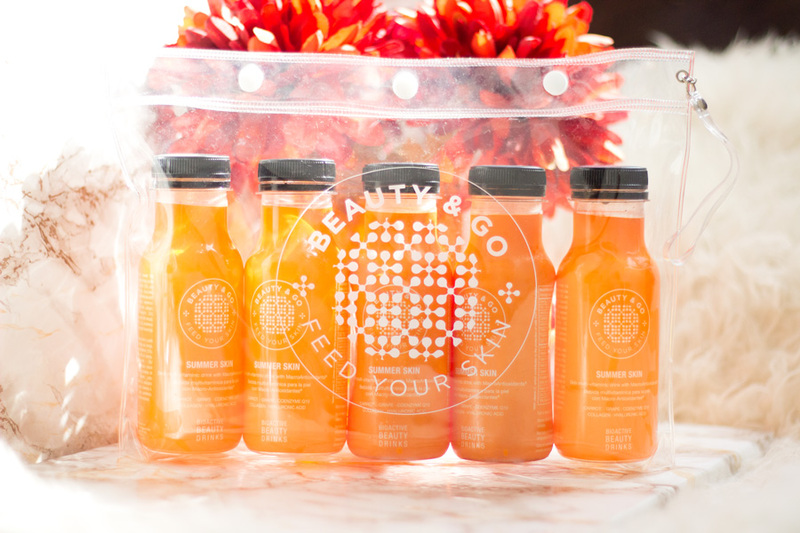 Have you tried any Beauty & Go juices? I like the sound of these, think I'll give them a try!